Jessica Pels is the newly named editor-in-chief of Cosmopolitan, the largest young women’s media brand in the world. In her hybrid role, she oversees the content and editorial operations for the magazine, web, social, video, and editorial innovation projects. Most recently, Pels served as the digital director of Cosmopolitan, where she led the site to its highest readership of all time. 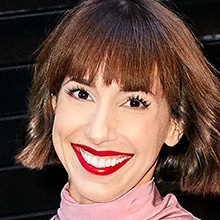 She also served as the digital director at Marie Claire, before which she worked in print as the features editor at Teen Vogue and held various editorial positions at Glamour. Pels is an alumna of New York University, where she earned a BFA in film production from Tisch School of the Arts. She hails from Atlanta, and now lives in Brooklyn.